Advertising in Games – Is it a good idea? It’s fun to make games. And it is exciting to see millions of people download your games and play them. The games I have created have been downloaded more than 9,000,000 times and have more than 1,000,000 aggregate player hours of use. I have sold over 110,000 paid downloads and in app purchases. However, the amount of money that can be made by monetizing a player’s time spent in a game via in game advertising is on an entirely different level. The growth/adoption of mobile devices and mobile games has been huge. And equally huge is the amount advertisers are spending on mobile advertising. According to a report by Interactive Advertising Bureau (IAB) and PriceWaterhouseCoopers, mobile ad spend nearly doubled from 2013 to 2014, and it is definitely on the rise as we speak. Should More Games Have Ads? 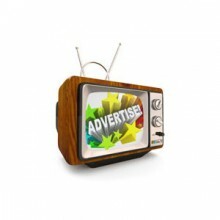 Advertising in games provides a great means to enable user to try the full game for free and make money in the process. The fact is that some people are cheap when it comes to buying games, but they will download loads of games and play the free part for hours and hours. Why not, it is great entertainment and the only cost is that some banner ads linger on the edge of the game and full screen ads popup from time to time. Free to play with ads and in app purchases seems to be the best monetization model. The players that want to try the game can try it out. As long as the ads do not interfere with the game, the player can experience the game and decide if it is what they are looking for. If they care to remove the ads, then they can simply buy the game from within the game via an in app purchase. Does Advertising Impact Paid and In App Purchase Revenue? Making money via advertising can be quite lucrative. Players don’t seem to mind that ads are in the games as long as they don’t significantly interfere with the gameplay. In the past, my company Heyalda, has observed a company wide game download to game purchase conversion of about 1.15% on free to play games with in app purchases. This means that for every 100 downloads (of a free to try game that is $1 to unlock the entire game) I have made about $1.15. That was when I had no ads in the games. After implementing ads in many of my games, about two years ago, I have continued to see about a 1.15% company wide conversion across all games. So implementing ads in the games has not resulted in a significant impact to Heyalda’s [free to play with in app purchase] game revenue. It has, however, resulted in a very significant additional revenue stream that is now much greater than my paid and in app purchase revenue combined. Note: The above conversion stat is a company wide average conversion across all Heyalda Games. Some Heyalda games that are downloaded have higher conversions and some lower. There are many different ways to implement advertising in games. Banner ads and full screen interstitial ads (including images and video) are probably the most common. Some are definitely more lucrative than others. In general interstitial ads have higher click through rates, capture a users attention more and advertisers are willing to pay a premium for that. Choosing an ad network aggregator is a good idea. There are many ad networks. When the location and timing of gameplay is considered, along with the number of brands that do various ad campaigns with different networks, it becomes apparent that it is important to have a variety of ad networks to pull ads from to maximize the revenue that can be made from advertising. An ad aggregator like Admob can do this pretty good. It can be beneficial to have a backend server of your own that enables you to switch between different network aggregators and individual ad networks in your game. This requires a combination of in game code and a server from where your game can load advertising configuration. Maybe I will do a post on this topic if there is interest.